Ancient sculptures unearthed at Maitum, now exhibited at the museum. Maitun, 1 November 2009. From ancient finds to ultramodern municipal building, from cascading waterfalls to crystal-clear rivers, from beautiful coasts to mythical caves, from endangered tarsier to time-warped marine turtles, from idyll poblacion to adrenalin-rush river tubing, Maitum has it all. And if a new version of the Hollywood film Indiana Jones and the Kingdom of Crystal Skull would be shot in the Philippines, the most likely milieu would be this heritage-rich municipality of Sarangani Province. After all, it has the reminiscence of Eddie Romero’s award-winning Ganito Kami Noon, Paano Kayo Ngayon? and the location where the anthropomorphic pottery – an exceptional archaeological assemblage – were found. Not to mention the national awarded Pangi River which reminds you of Robert Redford’s setting of A River Runs Through It. Recently, my friend Jose Rey L. Subaldo (JR for short) and I had the opportunity of visiting the quaint town situated some 1,200 kilometers south of Manila is a journey to the past, history’s long forgotten years. “Once you set foot in that cave in Maitum, you are virtually transported back to ancient times,” George Y. Yabes forewarned. The late mayor was referring Ayub Cave of barangay Pinol, where villagers found artifacts that “were made of earthenware potteries and formed like human figures” with complete facial characteristics. Mayor Perrett bent on saving unique cultures. The artifacts are “a wealth of culture traditions which has been lost through the years, perhaps hundreds or millennia of centuries ago,” said Dr. Eusebio Dizon, the curator of the National Museum in a paper presented during a national conference on local and national history. If you ask local here how the country’s national treasure – now known as the “Maitum jars” – were found, they would tell you this story: It was in 1991 and some villagers were searching for birds’ nest, a delicacy in the area. During their quest, they accidentally unearthed the artifacts --- hundreds of them. “No one dared touch them because they were afraid,” said Hadji Ayub Mindog, who owned the land where the cave is located. Back to the future. Today, the original artifacts are preserved at the National Museum, where they are on exhibit under Faces of Maitum: An Exhibition of Anthropomorphic Pottery. “These treasures were declared as important cultural property by the National Museum,” said Maitum Mayor Lucille R. Perrett, a retired nurse from the United States who returned to the Philippines to serve her fellow Maitumians. 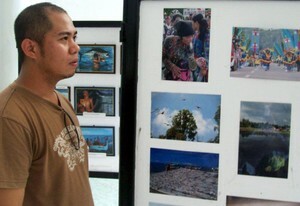 Photos - a glimpse into the past and present - on exhibit. But Manila is too far. So, during the town’s 50th foundation anniversary, a diorama of the archeological finds with a miniature replica of Ayub Cave was opened to the public for viewing. The Treasures of Maitum is exhibited at the second floor, right at the center of the modern municipal building. Arnelito Ramirez, who toured us, said people from nearby towns and provinces, students, and foreigners come to see the enthralling exhibits. We concurred. “We have clean and pristine beaches in Maitum with fine black sand,” said Elizabeth “Beth” Ramos-Palma Gil, the town’s information officer who facilitated our visit. Although not fully developed yet (as there are few cottages available), guests and visitors can have frolic at the following beaches: Yabes, Mc Ian, and Pawikan. Speaking of pawikan, all coastal barangays are primary nesting grounds of the endangered marine turtles, including Hawksbill, Green, Olive Ridley, and Loggerhead. You can have the opportunity of touching live pawikan at the nesting and study site in barangay Old Poblacion. Sanctuary for marine turtles at Pawikan. “I want people to know that marine turtles deserve to be part of our culture and traditions,” explained Danny Dequiña, the caretaker who started the initiative. 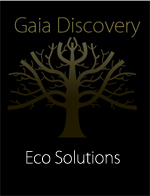 The late Yabes adopted it as one of his programs, with support from the Department of Environment and Natural Resources. 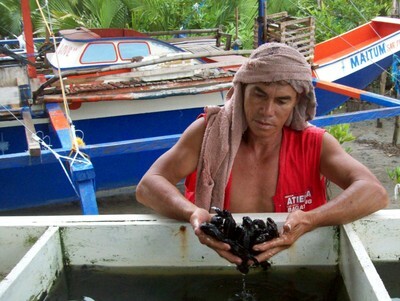 “Since 2003, we have released more than 10,000 hatchlings,” Dequiña claimed. However, if your interest is scuba diving, Maitum has one of the best diving spots. Mabay Reef is situated some two hours off the town’s coast. At 40 feet deep, you will have the opportunity of seeing the weird and unusually huge cardinal fish (Apogon spp.). At the Barracuda Highway, you can view as many as 500 of them in constant patrol. About five kilometers to the west is Kalaong Reef, home to the solitary grey black tip reef sharks. 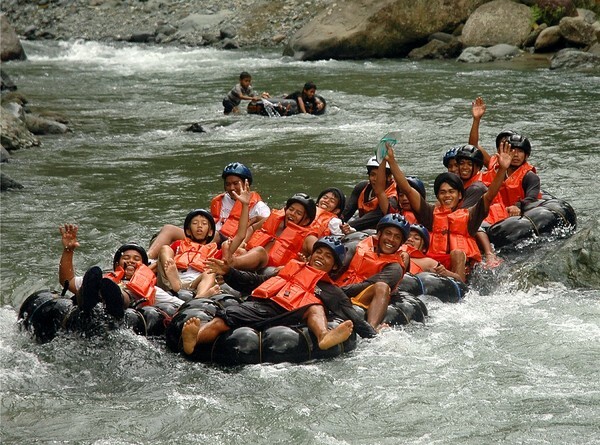 If you are brave enough, take the whitewater challenge at Pangi River’s 1.6-kilometer tube ride. “Wala itong katulad sa bansa (There’s nothing like this in the country),” commented Tourism Secretary Joseph “Ace” Durano after enjoying the 30-minute whitewater tubing ride recently. That was what Beth told us. So, on our second day at the town, we drove about 20 minutes to barangay La Union. From the place where we got off, we had to walk about 30 minutes to arrive at the area where we had to start our river tubing. “This is the highlight of our tour in this town,” JR said. Death wish? Nah, just thrill seeking down the river. We rested for a while and then took a plunge to the river to acquaint ourselves with the water. Our guide briefed us; he demonstrated what we had to do during the water thrill. A few minutes later, we were following the flow of the river. At first, it was tranquil, then the current became stronger, the cold water was rushing. The excitement even became more excited as there are several boulders to negotiate. Some boulders were effortless but most were stiff and breathtaking; in fact two were so fiddly that I was thrown twice into the bottom of the twirling waters. But my guide was there to rescue me from the situation. As a neophyte in the said event, it was an experience of a lifetime. Those who want to go through this experience have to spend only P120 for the equipment rental and guide fee; there is also a token fee of P2. Since Pangi River – among the 2003’s cleanest river in a national search – is 12 kilometers away from the town, you can enjoy the day-trekking or horseback riding and commune with nature along the way. The village offers overnight cottages (ranges from P75 to P150). If there are only two of you, both can go there via habal-habal (motorcycle) at P25 per person from the national highway in barangay Pangi. You can also hire a tricycle at P100 (one way trip) from Poblacion. Maitum’s attractions are not only above and under waters. Caves and the rainforest are the natural habitat of rare giant flying foxes (Acedoron jubatus). These fruit bats (which feed on fruits, flowers, nectars and leaves) were discovered in 2003 by Apolinario Carino, a wildlife specialist from the Center for Tropical Conservation. “The bats were initially found beside the highway within the sight of by-passers but these bats transferred at the back of an elementary school, a kilometer away from the initial site,” says Ramos-Palma Gil. Today, there are about 22,000 bats which you can see as they fly to the twilight sky. There are also thousands of bats in barangay Ticulab, about 12 kilometers away from the town proper. Twin Falls home to creatures great and small. The rainforest is home to endangered species. For one, tarsiers, which thought to thrive only in Bohol, also exist in the town’s mountainous areas. The rare writhed-billed hornbill and tarictic hornbill are also found in the surrounding rainforest. The endangered Philippine Eagle also thrives in the area. Other wild animals are wild boar, deer, monkeys, and various species of snakes. Going deeper to the forest, you will find various waterfalls, including the enchanting Twin Falls, which is also claimed by Kiamba as theirs. “It takes a day trek and uphill climb to reach Twin Falls,” the information officer says. She adds there are about eight major uncharted falls in Maitum. “The highest are the 30-feet two falls in barangay Bati-an and another one, about 35 feet high, in barangay Ticulab.” The two barangays are about 13 kilometers away from the town. Going to the west, Maitum is 197 kilometers away from General Santos City. If you don’t have private vehicle, the town can be reached by public transportation (air-conditioned vans). One-way fare from General Santos City is P140. Motorcycles and tricycles are the only ways to travel around the idyllic town. Don’t go home without something to bring from the town. Among the pasalubong you can buy are souvenir T-shirts, half-dried marinated flying fish, rice and corn coffee, banana chips, tinagtag, bagoong, and rice cakes (tupig, bibingka, tinudok, puto, suman, and patupat). Photographs of Twin Falls and Whitewater tubing, courtesy of Maitum Tourism Office.